Traditional game rendering techniques, called rasterization, are much faster than real-time ray tracing but fake how light and shadows behave by converting a game’s 3D models into pixels on your 2D screen, then applying textures and color information after. Real-time ray tracing mimics how light behaves in the real world by mapping out rays that originate from 3D illumination sources in a scene. Real-time ray tracing delivers much more realistic imagery as a result, but it’s much more computationally expensive. 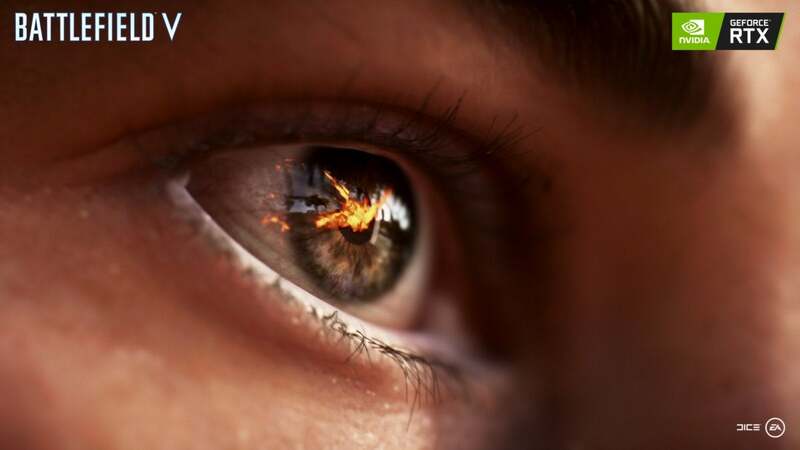 Nvidia’s GeForce RTX graphics cards are the first GPUs capable of handling ray tracing at a reasonable clip, and only with the help of those dedicated hardware RT cores. Even still, games that want to support ray tracing in the near future will need to use a hybrid rendering technique that apply some ray tracing elements while also performing rasterization. And now Battlefield V is the first game to support the technology, as a new update unlocked raytracing features. EA Origin Access subscribers can play the game now ahead of its official release. Check out the trailer below to see how much of an impact ray tracing can have on the game’s visuals. Expect DXR to crank up the eye candy (be sure to check out the reflections in windows and water!) while dialing back frame rates, though it remains to be seen just how much real-time ray tracing affects BFV’s performance. The frame rate hit appears significant in Guru3D’s quick initial tests with the GeForce RTX 2080 Ti. This is just the tip of the RTX iceberg. Nvidia says that a build of the Final Fantasy XV benchmark with Deep Learning Super Sampling enabled will launch at 5 p.m. Pacific time today, leveraging the AI-boosting tensor cores inside RTX GPUs. Wolfenstein II: The New Colossus will add support for Nvidia’s new adaptive shading technology on Monday, November 19. You can learn more about those RTX features and other Nvidia GPU details in our Turing GPU architecture deep-dive, or check out our roundup of every RTX game announced so far. Look for our own in-depth Battlefield V ray tracing tests to land soon.